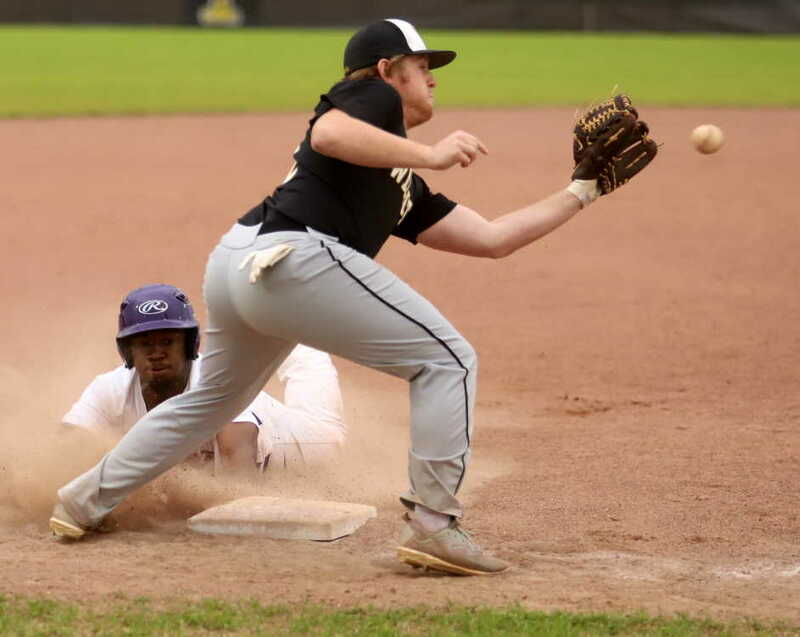 Runs were a plenty last Friday in Trumann as the Wildcats and Seminoles combined so score 40 runs as Trumann held on to win 21-19 in high school baseball action. Osceola used three hits and a Trumann error to plate two runs in the top of the first inning for the early lead. The Wildcats responded with nine runs in the bottom half as Will White was hit by a pitch leading off and promptly stole second base. Drew Osment was also hit by a pitch to put two runners on base. Jackson Walton singled to score White to make it 2-1. Osment scored on a wild pitch as Luke Montgomery doubled to plate Walton making the score 3-2 Wildcats. Blake Liles was hit for first of four times before Izzy Carillo singled to bring in Luke Montgomery making it 4-2 Trumann. Brant Montgomery singled to score Liles making it 5-2 as Jesse Penter reached on an error that allowed Carillo to score to push Trumann’s lead to 6-2. Jax Williams was hit by a pitch to load the bases, White walked to bring in Brant Montgomery before Osment was hit by a pitch that brought in Penter to make it 8-2 Trumann. Walton fielder’s choice grounder forced Williams at home for the first out before Luke Montgomery popped out. Liles was hit by a pitch to bring in White making it 9-2 as Carillo’s fielder’s choice forced Liles out at second to end the inning. Full game article in April 4 edition of the PCDT!